Prof. Rudy van der Elst is a marine scientist with more than 40 years’ experience in the field of coastal and marine research, including fisheries assessment and management. 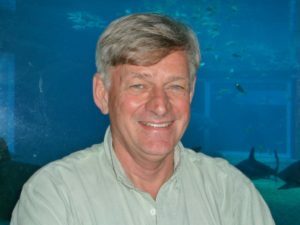 Until his retirement from the directorship of the Oceanographic Research Institute (ORI) in July 2012, Rudy has been able to develop and lead research programmes that have been designed to provide a scientific basis for sustainable marine-related conservation in South Africa and especially KwaZulu-Natal. Simultaneously, Prof. van der Elst forged a range of scientific partnerships in the Western Indian Ocean (WIO) region and has been involved in the planning and implementation of a number of regional programmes including the South-West Indian Ocean Fisheries Project (SWIOFP), TRANSMAP, the IUCN/NORAD WIO Marine Biodiversity Conservation Project, and WIOFish database. He served on the WIOMSA Board from 2009 to 2013. As ORI director, he was responsible for a suite of research programme involving 25 scientific staff and generating an annual research budget of ~R 12 million. He also deputised for the CEO of the South African Association for Marine Biological Research (SAAMBR) which includes the acclaimed uShaka Marine World. He has authored or co-authored some 440 publications, reports and consultancy reports, 57 in the primary literature. His Overall Scholar Citation Index stands at 1222. In addition, he published 7 books on fishes, some with a circulation of more than 100 000. Nyawira Muthiga holds a PhD from the University of Nairobi. 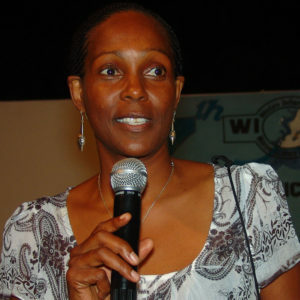 She is the Director, Marine Program Kenya and Conservation Scientist at the Wildlife Conservation Society (WCS). She worked at Kenya Wildlife Service (KWS) from 1999-2003 as the Head of Coastal and Wetland Program and working her final year there as Assistant Director, Coast Conservation Area. (KESCOM); member and Chair of the Coral Reef Task Force , the Kenya representative since 1996, to International Coral Reef Initiative (ICRI) and a is a member of the Global Coral Reef Monitoring Network (GCRMN) Scientific and Technical committee. Dr. Muthiga has contributed immensely to the development and conservation of Marine Science in the region. She has improved the management of MPAs through the development of management plans, and awareness and training programs at KWS. She has contributed to the strengthening of MPA management skills in the region through various roles including contributing to a regional Manual for MPA managers and a Guide for MPA Management in the Western Indian Ocean produced by WIOMSA. Through KESCOM, Nyawira has contributed to strengthening community based conservation organizations. As Chair of the Coral Reef Task Force of the Nairobi Convention, she oversaw the development of a regional strategy for the management of coral reefs focusing on climate change mitigation. She coordinated with WIOMSA and KESCOM a regional workshop that culminated in the establishment of the Marine Turtle Task Force of the WIO under the umbrella of the Nairobi Convention and the Indian Ocean South East Asian MOU for marine turtle conservation. She has authored and co-authored more than 40 scientific articles, books and book chapters and has supervised several local and foreign MSc and PhD students. 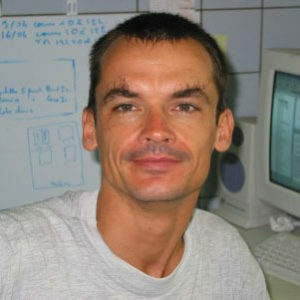 Prof. Matthieu Le Corre is the director of the Laboratory of Ecology and Marine Research (ECOMAR) in La Réunion, The Director of the Doctorate School of Science, Health and Technology and Director of the Masters Biodiversity and Tropical Ecosystem (BEST) Program of the University of Reunion. Prof. Le Corre studied BSc in Biology from the University of Rennes, France and both his MSc and PhD at the University of Paris, France. Since 2001, Prof. Le Corre has led some 10 research programmes conducting studies on seabirds, tropical marine food webs and bioindicators. In his effort to generate new knowledge and improve research capacity in the region, Matthieu has supervised 8 PhD and 13 MSc students in La Réunion, Madagascar and Seychelles. He has authored over 50 publications including a chapter in book and peer reviewed articles. 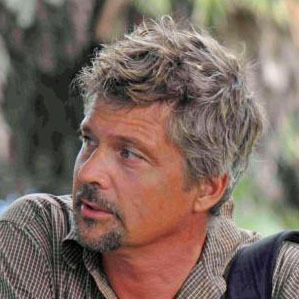 Professor Le Corre was awarded the 2009 Pew Fellowship in Marine Conservation for his project using seabird behaviour to identify biodiversity hotspots in the Indian Ocean. 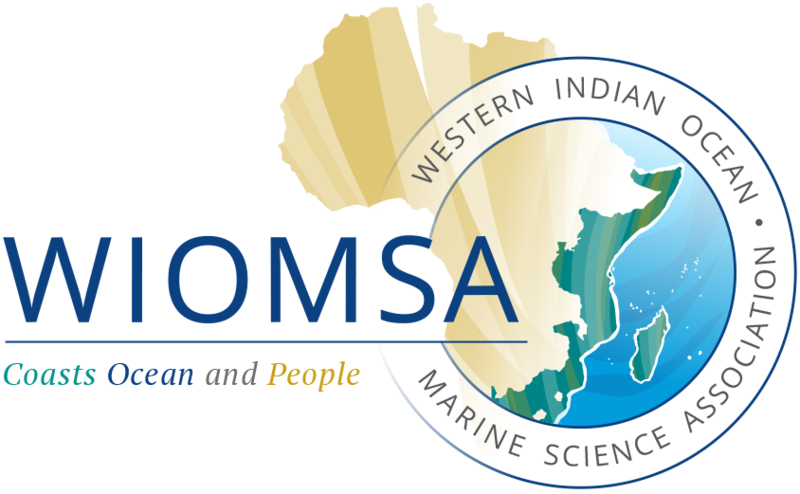 This project built on the MASMA-funded project on “Seabirds as bio-indicators of tropical marine ecosystems: A regional study in the Western Indian Ocean”. The grant provided with this award allowed him to extend his research on seabird foraging habitats using satellite telemetry at a regional scale and the data produced used to identify potential high seas Marine Protected Areas in the WIO. James Gitundu Kairo obtained both BSc in Biology and MSc in Plant Ecology from the University of Nairobi and his PhD on ecology and restoration of mangrove ecosystems from the University of Brussels. He has vast working experience on the conservation, rehabilitation and sustainable utilization of mangroves systems. In 2002, he won the International Cooperation Prize awarded by the Belgian Government in recognition of his work on cooperation and sustainable development. Over the last 10 years, Dr. Kairo has contributed immensely to new knowledge on the ecology and restoration of mangrove systems in the WIO region by producing more than 20 peer reviewed publications. It is through his work that he has been invited to transfer mangrove reforestation and management technologies to several other countries in the region including Mozambique, Egypt and Tanzania. Further, through his efforts, more than 200 ha of mangrove have been reforested with suitable species in Kenya. Over the years, he has supervised several MSc and PhD students. 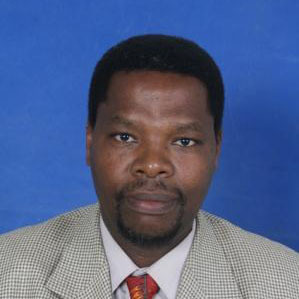 Dr. Kairo is a Senior Research Officer at the Kenya Marine and Fisheries Research Institute. He is a member of the International Blue Carbon Scientific Working Group. (EAFPES) and Mikoko Pamoja Projects. Gilbert David pursued his MSc in Geography and his PhD in Marine Geography at the University of Western Brittany in France. He has spent his career working for the Research Institute for Development (IRD) in various capacities and locations including Vanuatu, New Caledonia, La Réunion and lately in Montpellier, France. His research expertise is in fisheries and coastal systems, integrated coastal zone management and the design and implementation of marine protected areas. He is also interested in studying island systems in the globalization dynamics especially the aspects of their viability, vulnerability and resilience. Since 2002, Dr. David has implemented five international projects in the WIO region mostly on socio-economic evaluation and the integrated approach to managing marine protected areas. Over the same period, he has also supervised seven PhD students within the WIO region. He has been the social science expert in the scientific committee of Reunion Island Marine Research and a member of the steering committee of the island’s integrated coastal zone management plan. He was appointed as a member of the MASMA Program Committee in 2004. He is credited for playing a key role in the increase in number and quality of research conducted by social scientist in the MASMA supported projects. Dr. Obura was born in Kenya in 1966 and his work has been focused on the ecology and dynamics of natural systems under the combined influence of climate change and impacts of human interactions with the environment. Since 1999, Dr. Obura has been the founding Director of CORDIO. In addition, his other positions and commitments include: Chair of the World Conservation Union (IUCN) Working Group on Climate Change and Coral Reefs, Adjunct Senior Lecturer in the Faculty of Biological and Chemical Sciences (Centre for Marine Studies) at the University of Queensland in Brisbane, Australia and Chief Scientist with the Phoenix Islands Conservation Project, Kiribati. Dr. Obura’s Research and professional focal areas are on Ecology and climate (Coral life history strategies, ecological resilience and climate change impacts. His research focuses on coral bleaching responses and long-term recovery dynamics, the role and assessment of ecological resilience, and how ecological systems respond and adapt to a changing climate. Dr. Obura is credited with raising over a million dollars as personal research and institutional grants since 1997 from Rockefeller Foundation, MacArthur Foundation, National Geographic Society, IUCN, the International Coral Reef Initiative (ICRI), the International Coral Reef Action Network (INCRAN), the National Oceanic and Atmospheric Administration (NOAA), Sida /SAREC and WIOMSA. CORDIO has been Dr. Obura’s vehicle for disbursing funds to other scientists and for training. 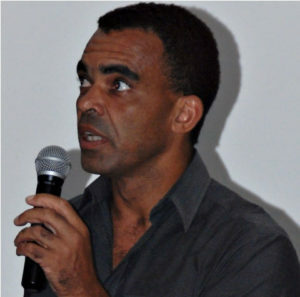 His most significant contributions have been in developing his own research programme in coral bleaching and regional reef resilience, developing CORDIO as a home-grown capacity building and research vehicle in the region, promoting the development of research in artisanal fisheries, socio-economic monitoring and issues in global marine research and conservation forums. He has produced over 100 publications, many of them in peer reviewed journals and others as secondary literature, conference contributions and workshop outputs. He has also edited a number of books. Prof. Yunus Mgaya is Tanzanian, born in 1957. He studied at the University of Dar es Salaam, the University of British Columbia and the University College Galway in Ireland. His research has focused mainly on coral reef fisheries, biology and management of invertebrate fisheries as well as aquaculture of different species. He is based at the University of Dar es Salaam, where he started out as a Tutorial Assistant and rose through the ranks to become a full Professor in 2006. Over the years, Prof. Mgaya has gained wide administrative experience at the University and his recent achievements include his appointment as Associate Dean in the Faculty of Sicence (2000-2002), the Dean of Aquatic Sciences and Technology (2003-2006) and the Deputy Vice Chancellor in Charge of Planning, Finance and Administration (DVC-PFA) (2006-2014) and the Executive Secretary of the Tanzania Commission for Universities (TCU) (2014). His experience has earned him key positions in various national Boards and Committees including the Chair of the Tanzania Marine Parks and Reserves Unit, Chairman of the Advisory Board of Mbegani Fisheries Development Centre, Board member, Tanzania Fisheries Research Institute and a member of the WIOJMS Editorial Board. He has conducted various researches relating to aquatic resources in the areas of biology, ecology and management of these resources and produced results which have been published extensively. He has published over 60 papers in peer reviewed journals and conference proceedings and co –authored 3 books. He has been involved in consultancies on environmental impact assessments, project evaluation and strategic planning. His contribution to Capacity Building and the development of coastal and marine research in Tanzania and the WIO include the supervision and mentoring of undergraduate and post graduate students. He has also been an external examiner for Moi University in Kenya. He has supervised over 30 MSc and PhD candidates. Dr. Tim McClanahan is a Senior Conservation Zoologist who has focused his research on describing the status of coral reefs and the role of different management approaches on their ecology and biodiversity. He lives and works in Mombasa, Kenya, where he studies the marine tropical ecosystems of the western Indian Ocean, and is the director of the Wildlife Conservation Society coral reefs program for eastern Africa. In 1991, he started his work as a conservation zoologist, initially at the Coral Reefs Conservation Project and later under the Wildlife Conservation Society. He is also member on editorial boards of a number of leading international journals, such as “Conservation Biology”, Marine Ecology Progress Series, Ecosystems, Environmental Conservation, Global Change Biology, and Aquatic Conservation. Dr. McClanahan has been working principally on coral reef ecology, most notably for the western Indian Ocean region (especially the African coast and Kenya), including interdisciplinary work about the effects of human activity like fishing on marine ecosystems. 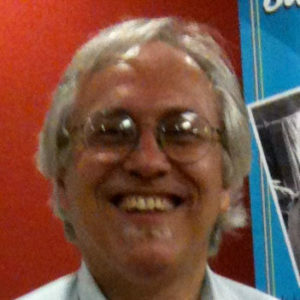 He has published over 200 articles in peer-reviewed journals, thirty book chapters, edited four books, compiled seven symposium papers, and produced numerous other publications including popular articles, editorials, and book reviews. According to an evaluation by the International Scientific Information that summarizes the scientific literature, he is the second most cited coral reef scientist in the past 10 years. In recent years, he has concentrated his efforts on examining the effects of coral bleaching on coral reef, fisheries as well as on household economies. McClanahan has been awarded the Pew Fellows Program in Marine Conservation in 1996 and the Pew Fellows award for the most published fellow in 2002. He is also a member of the American Association for the Advancement of Science, American Institute for Biological Sciences, American Society of Naturalists, East African Wildlife Society, Ecological Society of America, the Western Indian Ocean Marine Science Association, and the International Science for Reef Studies. Since 1992, Dr. McClanahan has secured several awards and research grants amounting to about 15 million USD for various programs in Kenya and the WIO. In 1997, he initiated a regional internship program that has trained over 20 young graduates and government officers from the WIO region on coral reef field methods. He has brought together individuals, institutions and relevant stakeholders for the better management of Kenya’s coastal and marine resources .e.g. in 1993, he instigated and drafted an MOU between Kenya Wildlife Services and the Kenya Marine and Fisheries Research Institute that has resulted in greater collaboration between researchers and park managers. In 1995, he developed a co-management program between Kenya’s fisheries department and traditional fisheries leaders in the South Coast of Kenya leading to the elimination of seine nets and reversing the decline of fish catches since 2000. Dr. McClanahan has surveyed reefs in northern Tanzania, Zanzibar, Maldives, Madagascar, Kenya and Mauritius, describing the status of these reefs and the role of management on their ecology and biodiversity, both before and after the 1998 coral bleaching event. He has also coordinated a survey of socio-economics in five WIO countries to examine the effects of disturbances such as coral bleaching on household economies. Prof. Mats Björk is regionally and internationally renowned for his research on eco-physiological processes in seaweeds and sea grasses. He has supervised a number of PhD and MSc students working in the region from Stockholm University, Eduardo Mondlane University and the University of Dar es Salaam. Prof. Mats Björk was born in Stockholm, Sweden in 1960. He moved to Uppsala for university studies, and earned his doctorate degree there in 1992. In 1996, he took up a research position at Stockholm University, where he currently is Professor of Marine Plant Physiology. His research focuses on marine plants and their productivity in both tropical and temperate environments, and how they are affected by environmental change such as pollution and ocean acidification. He has worked extensively with academic institutions in Africa, contributing his expertise in the bilateral marine cooperation programme between Sweden and Tanzania which he coordinates after pioneering its establishment in 1990. He has sourced funds for research over the past 10 years to ranging from USD 190,000-350,000 per year from the European Union, Sida/SAREC and others and has organized 7 training courses and 2 symposiums in the region on algae, seagrasses and mangroves. In collaboration with co-workers and students, he started compiling material on the flora and fauna of marine plants of the region which culminated in the book “Marine Plants of Tanzania- A Field Guide to the Seaweeds and Seagrasses of Tanzania”, published after 11 years of work, in 2006. Prof. Bjork feels that one of the most rewarding tasks of his career has been the mentoring of young marine scientists. The other task is serving on the editorial board of WIOJMS an experience that led to his appointment as Associate Editor of the International Journal of Phycologia.